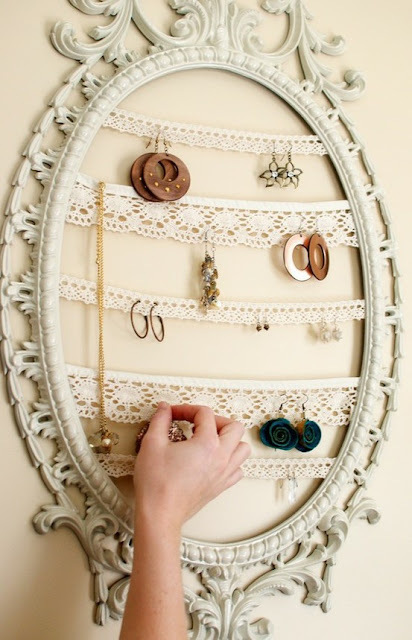 - Take an old, empty frame and make sure you can hang it anywhere in your room. - You can spray paint it to add a touch of your personal style. - Cut several stripes of crochet lace. - Use a staple gun to attach the lace stripes on the edges of the frame. - Check if they're stretched and glued strongly enough to carry the weight of the pieces. - Begin to hang your favorite accessories and voilà! Will you try this DIY idea?